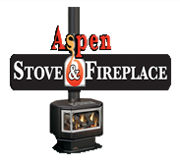 We are Colorado Springs Fireplace installers, cleaners, and repair professionals. Regardless of your décor or your heating needs – there is a fireplace that will fit in your home perfectly. From gas and wood-burning to electric fireplaces, you have a long list of choices. For many people there’s nothing like the look, smell and feel of wood burning fireplaces. Now, thanks to over a decade of research and development, a wood burning fireplace can offer you much more than just a cozy atmosphere. Its ability to soothe the soul while generating a deep penetrating and relaxing warmth within your home is unrivaled. Your fireplace will become a focal point in your home. Be sure to spend the time necessary to choose the right one based on your expectations for performance. Our family, specially trained sales staff is here to answer all your questions whether it be about design or the more technical aspects of specific manufacturers. Cuddling up in front of a fire is one of the best reasons to own a gas fireplace. Everyone is sure to find a gas fireplace to suit their home with so many designs, styles and sizes available. Naturally, gas fireplaces are one of the “hottest” hearth products on the market whether you’re building a new home, addition, or remodeling your existing dwelling. A gas fireplace offers incredible installation flexibility along with a wide variety of log styles. Best of all, the fire in a gas fireplace is now so realistic, it is very difficult to tell it from real wood. Ready for Fireplace or Chimney Help?